Homespun Stitchworks..... For the love of vintage: Her Majesty's Coronation Train (1937) .. see it being embroidered. 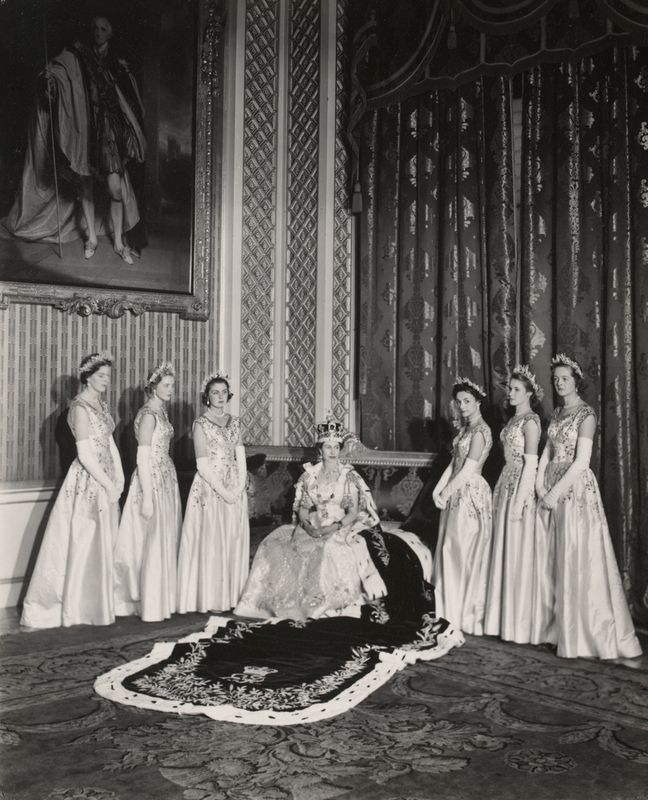 Her Majesty's Coronation Train (1937) .. see it being embroidered. I thought in this the year that Her Majesty the Queen turns 90 that it would be lovely to celebrate it on here too. 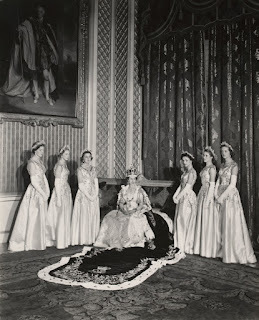 So I found this little film of her Coronation Train being embroidered at the Royal School of Needlework. It is a great piece of stitching history ..... I hope you enjoy it. Have a look at the work that went into it and all the ladies who worked on this exquisite embroidery. Have a great weekend and Happy Stitching.